In addition to hundreds of gaming tables throughout several properties, many of the casinos offer exquisite fine dining options, comedy clubs, live music shows, and so much more. Patrons may also indulge in spa experiences and luxury shopping in the casino complex. With so much fun to be had, it’s no wonder that Niagara’s casinos are consistently described as the highlight of many visitors’ experiences. It is sometimes difficult to decide which casino to visit, especially if time is a factor. Here we will break down some of the highlights of each property, so guests can choose the option that best suits them, then visit this website to choose the perfect package. Does a casino the size of three football fields sound appealing? If so, the Fallsview Casino is right up your alley. This impressively sized casino has everything for a gambler, whether a beginner or a seasoned tournament veteran. Over one hundred tables offer games such as baccarat, roulette, craps and poker. Three thousand slot machines are on hand, as are numerous video poker machines. The Fallsview Casino offers a dedicated poker room, as well. 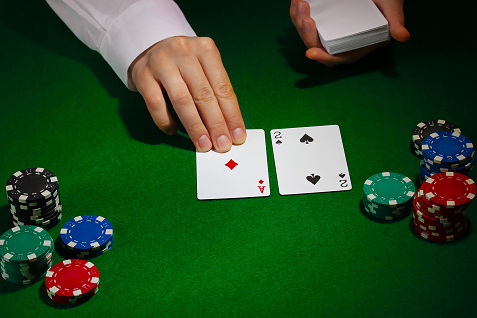 The buy-in at the tables range from a few dollars to high stakes, high action games. Fallsview Casino also hosts tournaments which attract the best poker players from around the world. Dedicated players can participate in the VIP tournaments, and experience the best casino service that Niagara has to offer. The Fallsview Casino is part of the larger, luxurious Fallsview Casino Resort. This property boasts views of Niagara Falls, and each of the 374 rooms are comfortable and classy. Dining options are top notch, and the casino hosts several international restaurants featuring Chinese, Italian and Japanese cuisines, as well as a steakhouse serving prime beef, and several different casual dining options. A spa, fitness center, and many other amenities are available for hotel guests. Hotel staff is on hand to assist guests with the planning of other activities, as well. The other of Niagara’s most popular casinos, Casino Niagara is located near the Sheraton on the Falls and the Skyline Inn. Spread over 95,000 square feet, Casino Niagara offers two levels of slot machines and multiple gaming tables offering craps, roulette, poker, blackjack, and more. Casino Niagara offers a sports section where patrons can wager on their favorite sporting events, including football, hockey, baseball, basketball, and more. The various sports sections offer comfortable seating and over 20 HD televisions, which brings “watching the game” to a whole new level. This property boasts a wildly popular comedy club, several venues for live music and dining options offering everything from sumptuous steaks to a lavish buffet and a casual coffeehouse. Several nightclub and bar options are on hand to help guests create a perfect evening. Additionally, Casino Niagara hosts special events throughout the year, including concerts by international musicians and bands, live theater productions, guest speakers, and many more. Consult their continuously updated events calendar for more information. Despite the allure of Niagara’s casinos, it’s important not to forget all of the other things that make Niagara Falls such an amazing destination. Days spent touring the falls on the Maid of the Mist are never wasted, and other activities such as hiking, cycling, golf, or winery tours are available as well. The casinos are conveniently located near many family friendly activities, such as the Fallsview Indoor Waterpark and the Clifton Hill entertainment area. After a wonderful day spent outdoors in beautiful Niagara, return indoors to one of the area’s top notch casinos for an evening of glitz, glamour and excitement the way that only Niagara can do it. You many never look at casinos in the rest of the world the same way again. About the Author: Dan Woodburn is a travel expert and journalist.